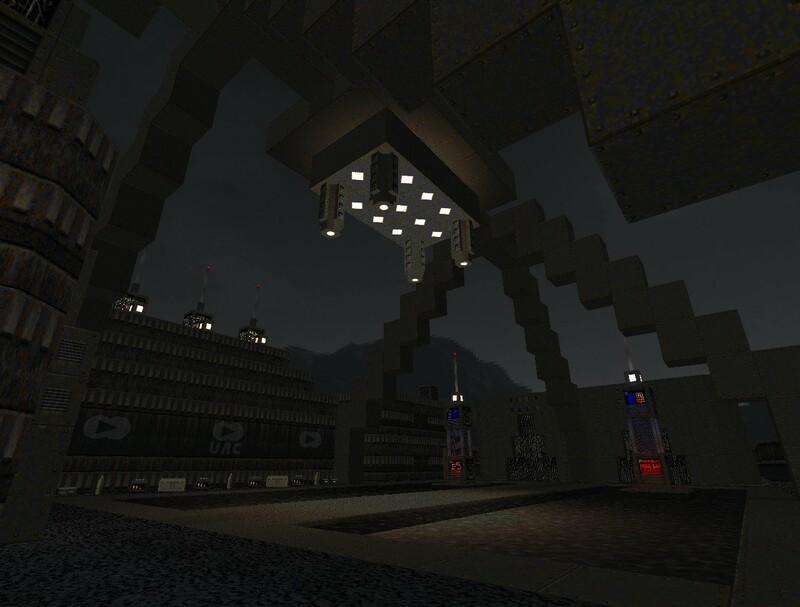 The theme is a washed-out techbase in disrepair with some parts gently flooded by water. The installation is still very much active though battle damage has rendered some of the technology inert. Most of the fluid is ankle-high and does not present an actual obstacle. You're also not expected to crouch or jump, I think, but there is a certain secret megasphere that does not otherwise appear to be available. It's never really clear what mysterious purpose the water lab serves but it's probably better this way since discernible experimental machinery would likely get in the way of kickin' out the love. The initial monster count is 777 on Ultra-Violence but it won't balloon much past that. The map plays relatively quickly but this is because many of the monsters are flimsy zombie variants or present in large slaughter-type encounters. As far as the undead go it's interesting to see the sexes represented relatively equally across the types, portraying the UAC as "more of an Equal opportunities employer", to use the author's phrasing. There are a few other custom monsters appearing as regulars, those being the tougher, imp-like soul harvester; the satyr, who mechanically resembles a slower, tankier demon; the Hellion; poisonous Grells; dirty water elementals and nightshades, who appear mainly in the western portion of the base that's adjoined to the cavern; and a few boss-powered surprises. Enjay shows his disdain for some of the Doom II bestiary by relegating them to cameos or excising them entirely. The pain elemental is completely absent, though one of the previously-mentioned wildcards is a distant relation. There are two additional fliers to offer some variety, though. 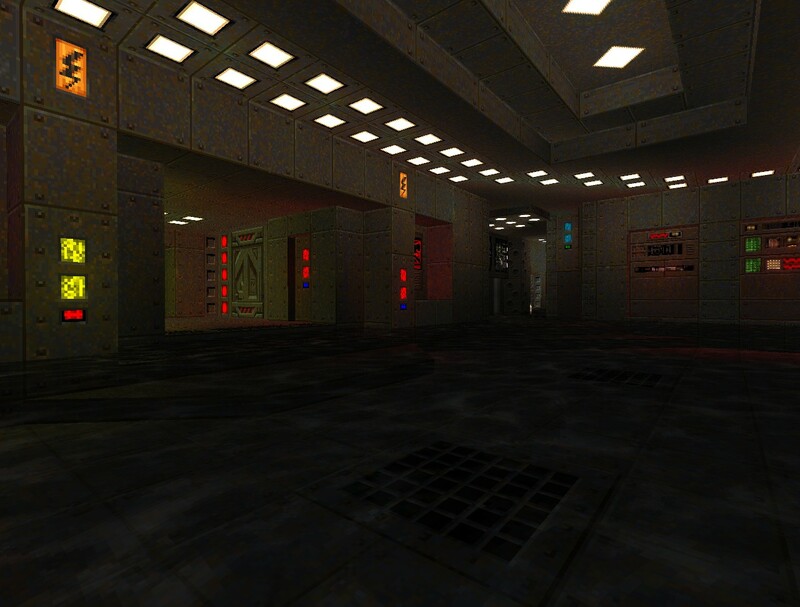 The revenants only appear in one hallway encounter for the player to easily shell them into oblivion with the rocket launcher and the finale where they will likely whither without notice under BFG blasts. I think that the author tries to fill their niche with the flimsier, weaker harvesters. The arch-vile only appears in a lengthy secret annex near the end where a number of them star as the horrific guardians of the hidden BFG... which is exactly what I'd expect from a guy who MDKs them on sight. Hellions are their thematic stand-ins but as any DECORATEd veteran can tell you they aren't nearly as threatening. NJWLGZD is actually pretty flat, which only figures since elevations below the ground floor should be filled with water and anything above would be high and dry and thus completely undeserving of the title. (I'm purposefully glazing past the elevator ride and staircase climb into the western depths.) The room shapes are ultimately pretty boxy but Enjay has a lot of great window-dressing in the computer panels and peripheral architecture. The enormous step-pyramid frame structure in the slaughter arena is the coolest thing you'll see on the abstract side of things. An outdoor area may kick off the set but every time you leave the confines of the base you have reached a major progression point. 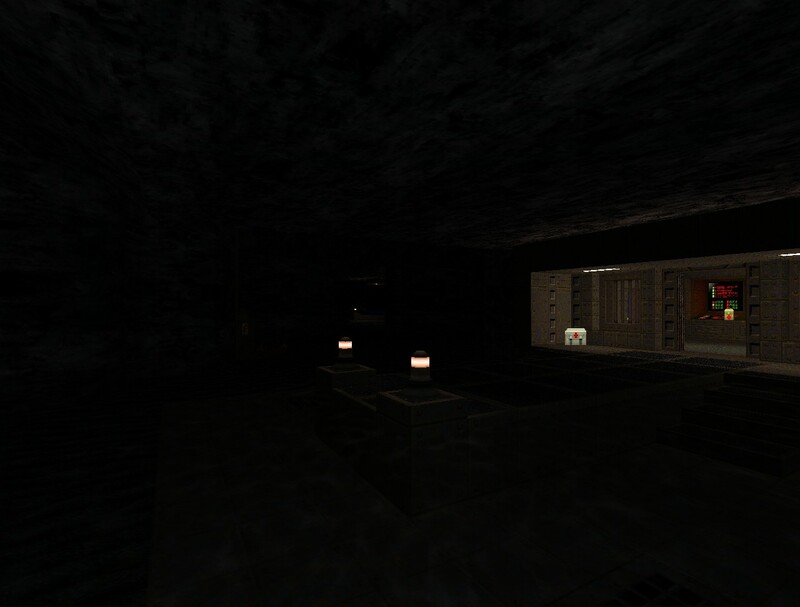 This includes the more organic look of the cove-like cave that dominates the western portion of the level. Waterlab GZD is pretty straightforward as far as navigation goes. The biggest issue you may run into is not realizing which textures represent doors, but a glance at the automap will set you straight. 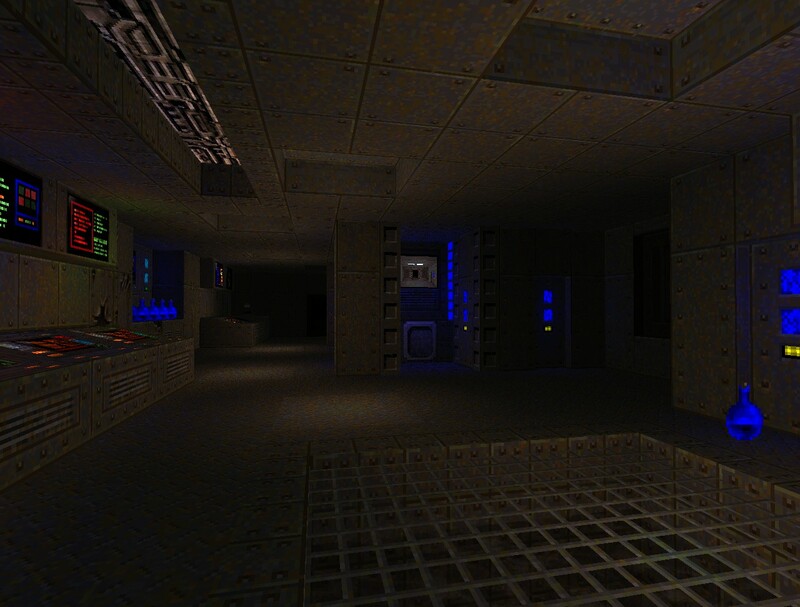 The base is pretty fun to explore in spite of this fact; the real challenge is in locating all of the whopping seventeen secrets, many of which have an included Easter Egg. 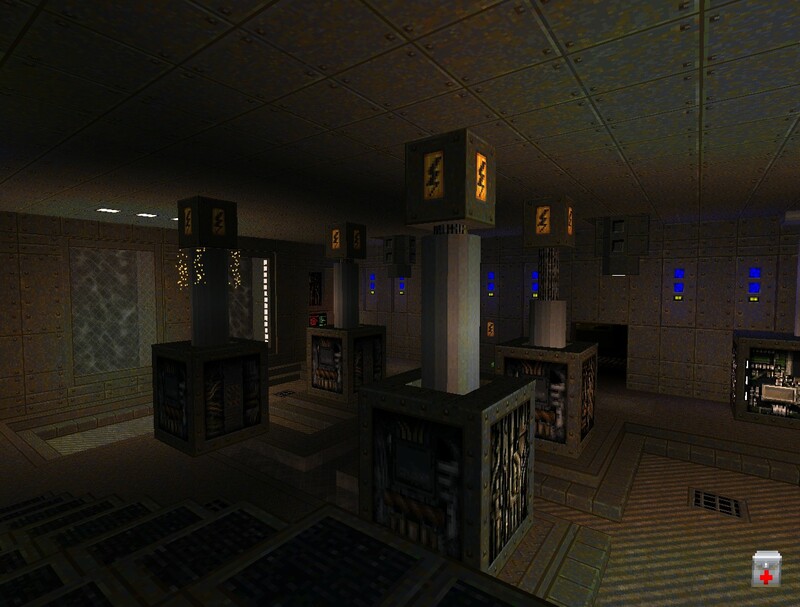 One particular tell ought to clue you in to maybe half of them, including a silly moment where you boot up the original Doom on an installation computer. You'll also see plenty of great scripted details like malfunctioning machinery, lights, and even interactive bits as with the controllable illumination in the cave. I really enjoyed the malfunctioning panel that... well, I won't spoil it. The atmosphere is quite thick. 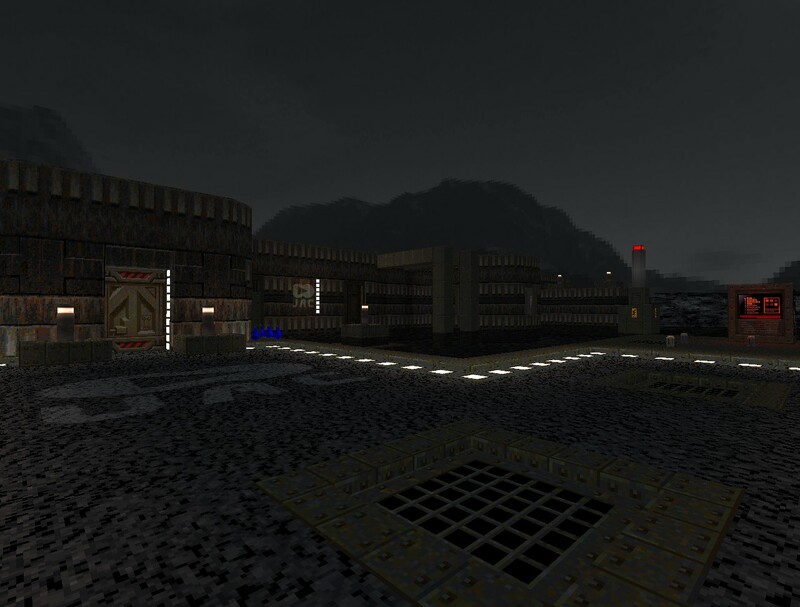 Enjay has included an ambient piece by Doomworld Forum superstar Jimmy but it is only a distant background to the ubiquitous noises encountered while walking around. There's dripping water, humming machinery, beeping computers, malfunctioning fixtures, and the not-quite-nearby sound of evil as well as doubtless other incidental contributions to the cacophony that I cannot recall. 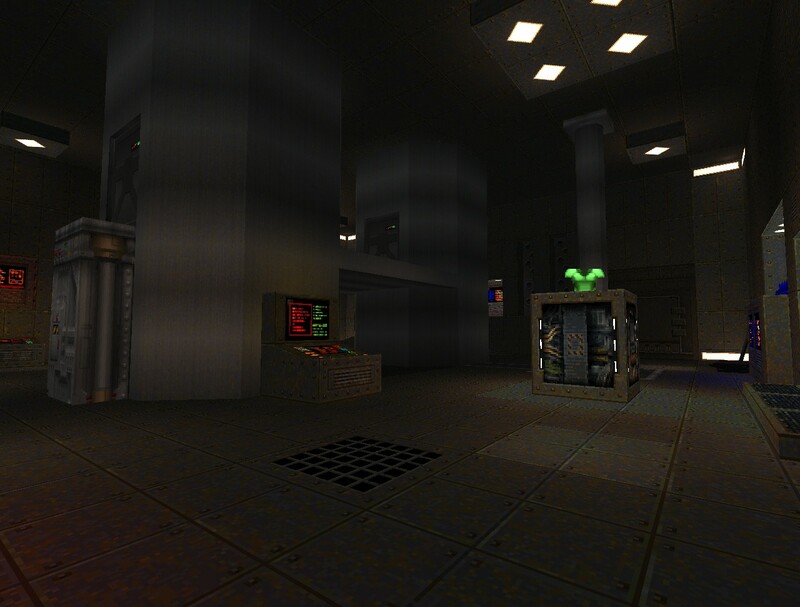 It isn't exactly haunting or sinister - except for the deliberate red shift in the BFG secret - but it gives the rectilinear compound a more tangible nature alongside the little interactive utilities. Nigel's attempt at approximating the rendering effect, which spawned this entire ordeal, falls flat. When scrutinized, it resembles jello jiggling in slow motion rather than the rippling refraction of lost Legacy. The feature was fatally flawed from the beginning, though. 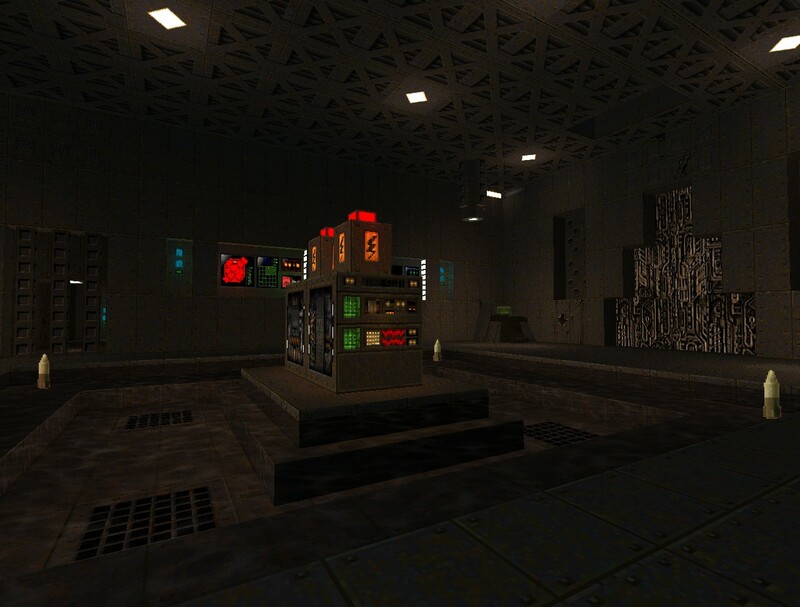 Not to say that there's no point in trying to bring a different look to Doom's water. The appearance is astonishing but ultimately begs the same question posed by the perpetually animated flats: Why is every body of water constantly in motion? Granted, a realistic simulation of fluid dynamics is light years away from idtech1 or for that matter any of its derivatives. It's all fine as long as you don't stare at it. 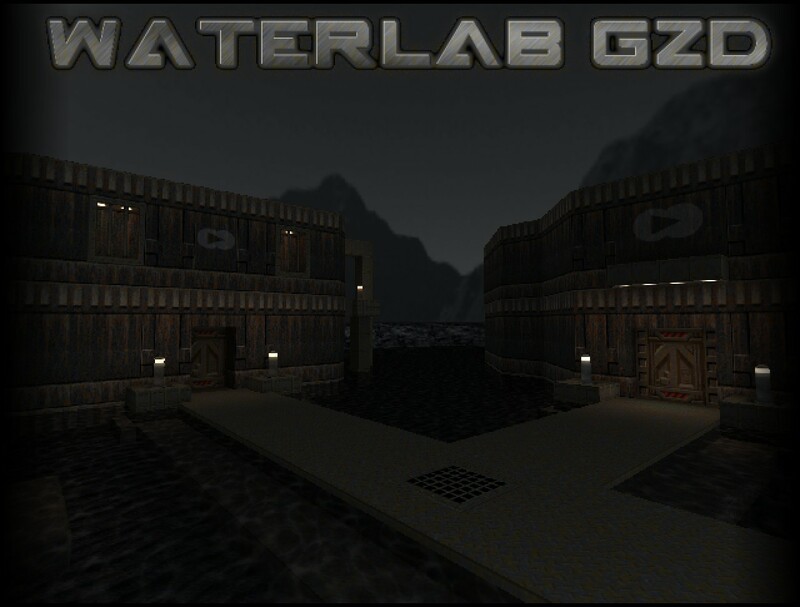 Waterlab GZD did not wow me through complex geometry like other GZDoom works but it hooked me with its atmosphere, constant combat, and basket of Easter Eggs. It's a great example of how to use scripting to bring your level to life with minor details and comes as an easy recommendation for both map polish as well as being just plain fun to play. I'm glad that Enjay finally brought this one over and if you aren't a crusty vanilla purist then you may enjoy it too.